The year is 1895, Jaffa. 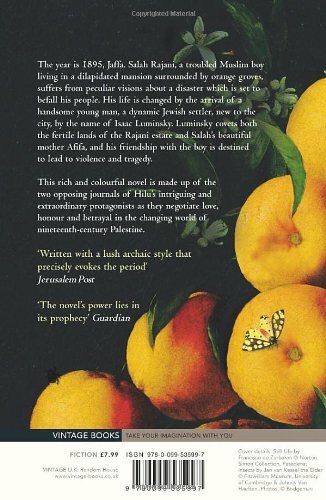 Salah Rajani, a troubled Muslim boy living in a dilapidated mansion surrounded by orange groves, suffers from peculiar visions about a disaster which is set to befall his people. His life is changed by the arrival of a handsome young man, a dynamic Jewish settler, new to the city, by the name of Isaac Luminsky.